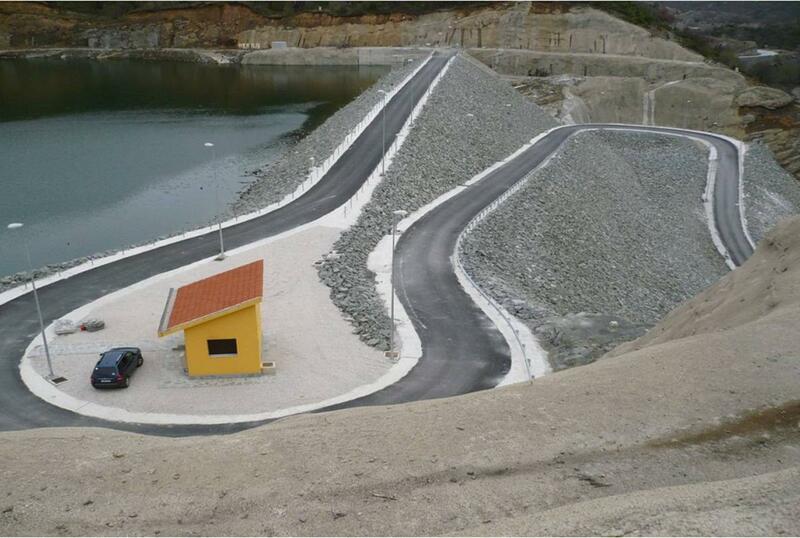 This is a stone built dam in the Pentalofo Kozani’s area, with a central core made of clay. It is 57m high and the rim stretches for 205m. 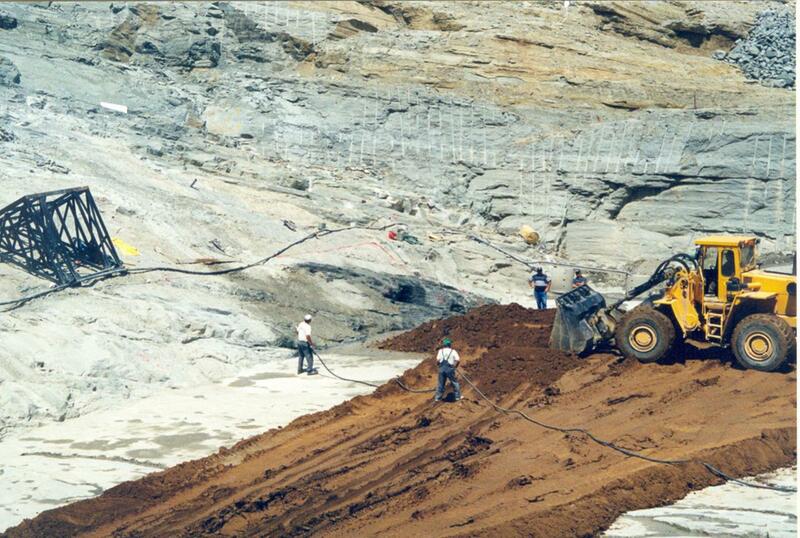 The dam itself is about 600,000m3 in size and its capacity is 5.5million m3 of water. A concrete tunnel has been constructed to divert the river. 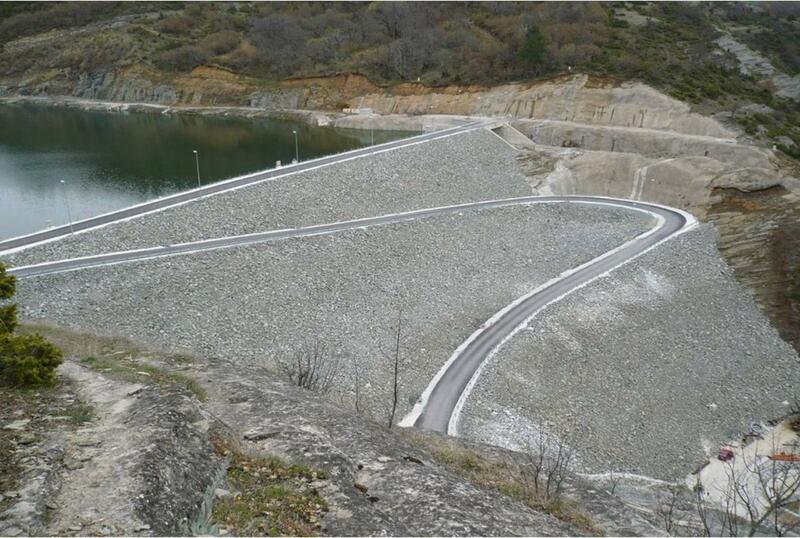 On the left buttress there is a canal to undertake the overflow of the dam during flood and has a shape of an open trench 5m below the roof of the dam. 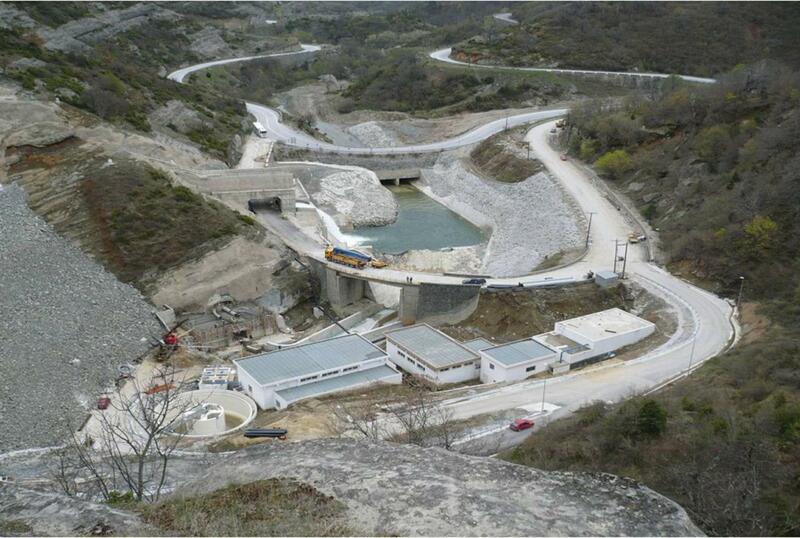 The trench goes over the Kozani · Ioannina National Road where the water ejection works are underway and ends in the relief basin οn the river bed. 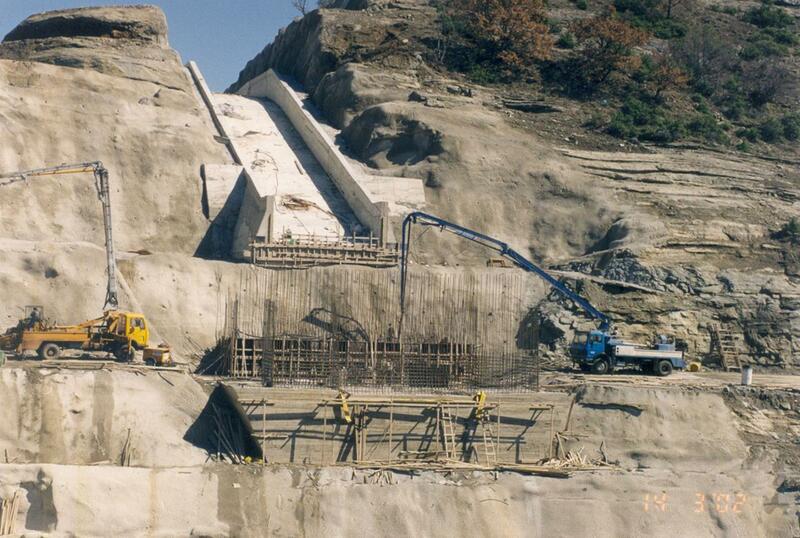 To keep the dam water-tight there is provision for a curtain of concrete injections on the ground and the buttresses of the dam. On the right buttress there is provision for a drainage tunnel via concrete injection (gunite).